This item is currently auctioned by Great Collections. Please contact us for more information. 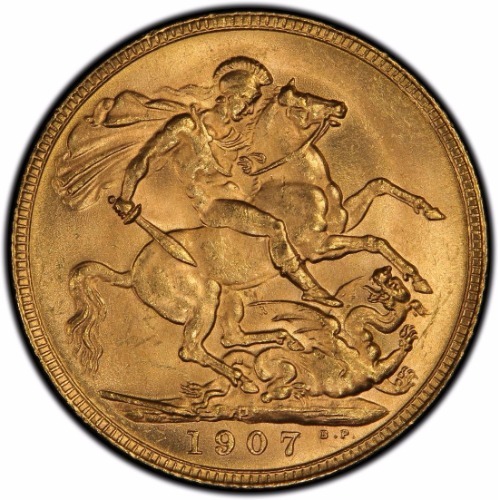 A 1907 Edward Gold Sovereign from the Perth Mint, Australia. 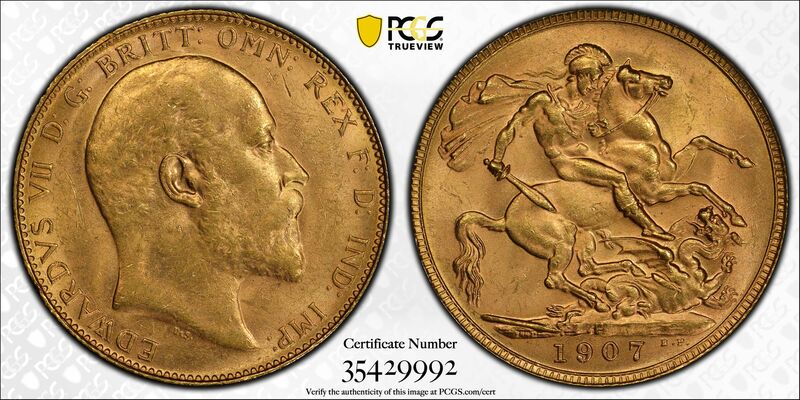 Top Population for PCGS tied with two other coins. Semi Key date for the Edward Sovereigns and very difficult to find again at this grade.